Targets are brainwashed into feeling powerless and paralysed. Magistrate Peter Lauritsen’s ruling on the culpability of those responsible for the subtle and sadistic workplace bullying that led to Brodie Panlock’s death in 2006 may reduce the acceptance of such behaviour in the workplace. This is only a small indication of justice and the manner in which victims are further abused by adversarial employers and our insurance and medico-legal systems. Nevertheless, it is a sign things may be finally, although slowly, changing for the better. But the most-asked question is why don’t people just leave a toxic workplace. It’s hard to understand how a victim can stay and become increasingly hurt. Philip Zimbardo’s famous prison experiment, conducted at Stanford University in 1971 with bright, normal university students, demonstrated that they had emotionally deteriorated to the point where after six days of abuse by their peers he ceased the experiment. We know about learnt helplessness, where women stay because they have lost the confidence to leave abusive relationships. We know that some parents keep their children at the same school for years, despite their child’s constant complaints of being bullied. But why didn’t this young woman leave the cafe? Bullying occurs at any level in the workplace and studies show that one in five employees will experience it, more in some workplaces. Strangely, most employers don’t understand that employees who feel safe and respected work harder and achieve more. The problem is that most employers don’t truly educate their staff to identify bullying, provide systemic solutions to rectify the causes, develop interventions and empower victims to create ways to block bullying behaviours. Most policies are superficial, formed without adequate staff collaboration, regular monitoring, comprehensive training programs, meaningful consequences or conciliatory, restorative dispute-resolution processes. Instead of identifying bullying as a sign of a toxic culture and managerial incompetence, many employers address a bullying case by attacking the confused, hurt victim, whose brain has already been scrambled by the abuse from co-workers. Thus the victims face a gauntlet of hazards. Do they ever get flowers, balloons or caring phone calls from their employer when they are home, too injured to work? In most cases, victims are sabotaged by adversarial, aggressive or passive managers keen to avoid liability. Many wait for promissory notes about employee safety and justice to materialise. While they wait for assistance, the bullying escalates like a slow-growing cancer. Most don’t understand that they are being bullied until they are injured. Just like Humpty Dumpty or the terracotta warriors of Xian, they have fallen to pieces, curdled, disintegrated. Their spirit is broken, their good name trampled on; they have been humiliated in front of peers. Their fight/flight instinct is paralysed and they become stuck in time, obsessing over what is occurring but unable to take action. According to Canadian psychologist Pat Ferris, brain scans will soon show the extent of their serious injuries. Unlike the victim of a hold-up, their injuries are often only validated when there is legal evidence of bullying, which is hard to prove when bullying is subtle or there are many minor acts, rather than by their medical and psychological symptoms. Besides, the current state of research seriously restricts general practitioners and mental health professionals. Many can’t distinguish between the biochemically different injuries of stress versus trauma. There are no adequate evidence-based diagnoses and consequently no suitable treatments for victims of workplace bullying trauma. 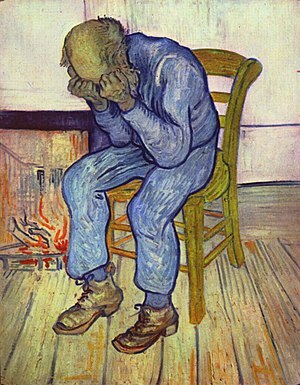 Few mental-health professionals know how to identify their symptoms. No wonder victims face a potpourri of diagnoses when they confront a medico-legal examination. Few have had training to deal with this crippling injury, leading some to blame victims for their personalities, without assessing work culture, management, bullies, employers and bystanders. Worksafe and Medicare pay scant attention to the needs of this seriously injured group and the many years of treatment they require. Many caring mental-health professionals make big financial sacrifices to treat them. Despite the excellent work being done by the National Centre Against Bullying and by many schools, the rates of school bullying have not fallen significantly. So what hope do victims of workplace bullying have when they are unaware of the hazards facing them, their employers don’t care, safety and legal justice is virtually impossible, mental-health professionals are under-resourced, bullying awareness programs are a farce and instead of restorative practices to deal with disputes, employers unleash a battery of adversarial tactics? No wonder victims become brainwashed into feeling hopeless, powerless and paralysed. Evelyn Field is a practising psychologist and author of Bully Blocking at Work, a self-help guide for employees, managers and mentors to be published next month. This entry was posted in Workplace and tagged bullying, harassment, workplace bullying. I know of many people who have worked in companies for many years, occupying professional positions but when a new manager with whom they did not see “eye to eye” problems occured. Sometimes they just couldn’t take it anymore especially if they didn’t share the same views on workplace policies. It is not not so much what was said but often the manager would always made it a point to show that was disliked. The staff member often ignores me or sneered at should they suggest something or express and opinion. 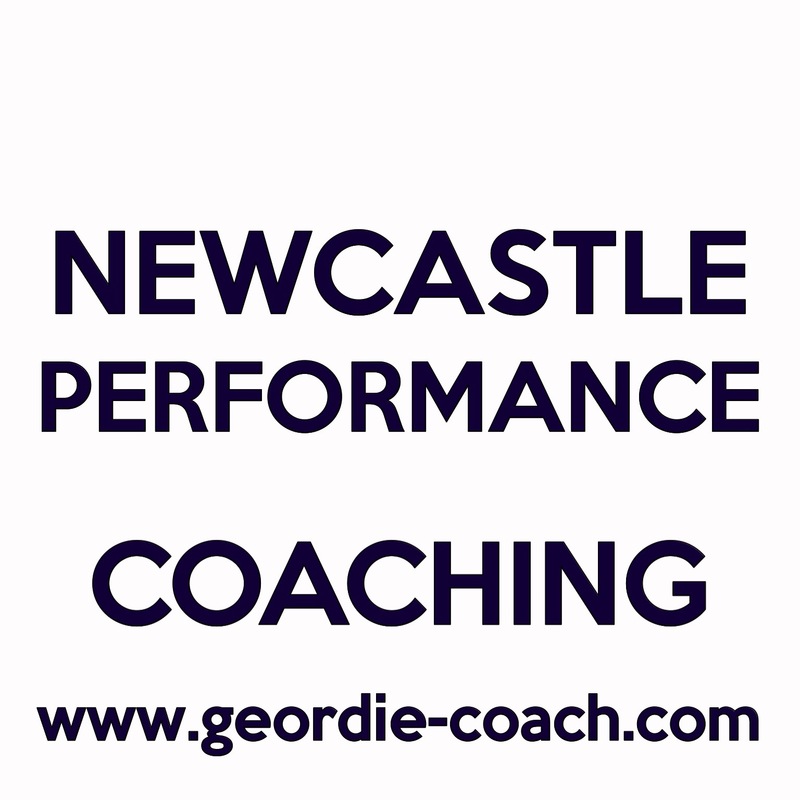 What often makes a bad situation worese is when colleagues are being influenced by the new manager or reluctant to speak us thus appearing to silently endorse the managers behaviour. 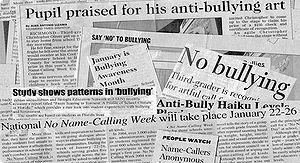 Failing to speak up against a bullying manager can be seen as imitating the bullying thus making the situation exculate. There are many examples of workplace bullying. The staff member who is being bullied or harassed often experiences anxiety and panic attacks. According to research conducted by the The Workplace Bullying Institute, workplace bullying is now among the causes of poor employee retention, resignation, and other organizational problems. A third of the human-resource executives surveyed said that they had personally witnessed or experienced workplace bullying. “Bullying” is also known as “mobbing”, or a frequent and systematic form of harrassment. So-called school based bullying occurs when a child torments, taunts or intimidates another child in school. The workplace version may be looked at as en extension of that form of harassment into the world of adults in the office. In the workplace, bullying comes in the form of criticism, teasing and even sarcasm directed an another employee. Harassment in the workplace ranges from antagonism and up to extreme acts that could even lead to physical injuries. The target is subjected to character assassination, aggressive behavior, verbal abuse, and the cold-shoulder treatment. Some are deliberately singled out to do unpleasant or hard tasks. Colleagues may even try to sabotage the victims’ work, hampering his or her productivity even going so far as hacking the victims’ office computer, making their day at work more stressful and problematic, alienating them from department or staff activities etc. The common stereotype of a bullied person is someone who is a loner or weak in character. 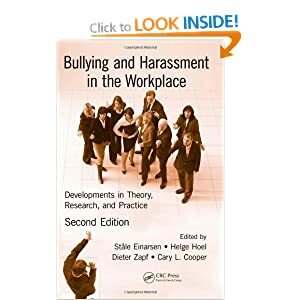 However, there are cases when the one being bullied is a capable staff member and may even be well-liked by co-workers. 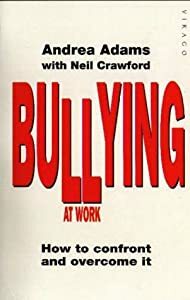 The bully considers their capability a threat and, therefore, is determined to make that person’s work life miserable or so hard that the victim no longer poses as a threat to the bully’s career. Effects of this harassment can cause victimes to suffer from stress, anxiety, and serious health problems. Absenteeism from work is one clear sign of a stress-related illness. Sleeping disorders, depression, and anxiety panic attacks are the most well-known consequences of harassment. The effects of harassment goes beyond the workplace as it also affects the victim’s marriage or personal life. A bully can contaminate a workplace environment by causing fear, anger, and low morale. About 80% of bullies are bosses. Some co-workers and a few higher-ups can alsoo engage in bullying taactics. A bully can either be a man or a woman. 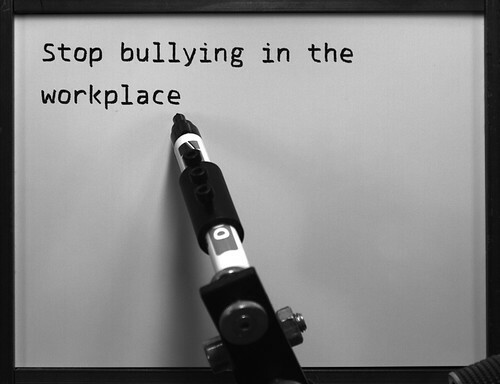 Bullying affects productivity and, as a result, the bottomline of a company. On the other hand, bullying can also be a source of problems for management especially when victims file law suits and compensation claims due to work-related stress. To address bullying, there must be clear and strict workplace policies in order to stop or prevent this form of workplace harassment. Employers must conduct risk assessments and implement guidelines and stress management programs. With better decision-making processes and policies, the employer can prevent a potential “war zone” in the company. This will take efforts that may entail the conduct of investigations and conflict resolution to prevent the escalation of a problem between employees. Employers must always take allegations of harassment and bullying very seriously, this is often difficult where managers who bully do so with the protection of putting everything down to organisational issues, keep secret logs and notes on victims and build cases behind the staff members back which when produced as a record months or years down the line are very difficult for the employee to respond too. Bullying- What would your children say? This entry was posted in Workplace and tagged anxiety panic attacks, bullying, stress and anxiety, stress management, workplace bullying. SHORT-TERM contracts are being blamed for poor management within the Northern Territory public service as the Henderson Labor government faces pressure to stamp out bullying and harassment among workers. A survey of the Territory’s 17,000 public servants this week revealed 43 per cent say they’ve suffered workplace bullying and harassment,, although some of the alleged behaviour was no more serious than petty criticism of their work. A quarter of all Territory public servants participated in the survey and only 54 per cent say bullying and harassment is not a problem in their office. Twenty-two per cent reported they were bullied or harassed in the past year. Of these workers, 67 per cent complained to someone in authority, but only 28 per cent said they were satisfied with how the matter was handled. The most common source of alleged bullying was managers and supervisors, followed by other employees. Workers accused management of intimidating body language, nitpicking, withholding vital job information and unfair treatment. The Community and Public Sector Union’s regional director Paul Morris says many public servants were reluctant to participate in the survey because they feared the computerised answer system would allow their views to fall into the hands of superiors. “People were worried there’d be some retribution from a manager if they were too open and honest,” Morris tells Inquirer. He has called on the public employment commissioner to investigate the bullying allegations and invest more in training managers. Territory Public Employment Commissioner Ken Simpson has given assurances that survey confidentiality will not be breached. He says comments to the contrary are unhelpful and may discourage people from participating in the next survey, due next year. The Territory opposition has seized on the survey. Country Liberal MP John Elferink has blamed the situation on a leadership vacuum within the government of Chief Minister Paul Henderson as reason for sour faces in the public service. Aside from the personal cost, it’s estimated bullying incidents on average cost $20,000 to an organisation in lost productivity and output, Elferink says. The above article appeared in The Australian, I wonder how the statistics compare with the UK and the rest of Europe. Whatever the reason given for it, workplace bullying should not be tolerated, whether it be for reason of disability, race, sexuality or any other reason. Workplace bullying can significantly effect a persons mental health through depression, stress and wellbeing, as well as lowering levels of confidence and self esteem, increased eating problems and sleepless nights. It impacts not only on the victims ability to function at work but also on their home life and out of work relationships. 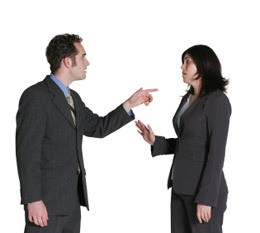 Adequate sanctions should be put in place to deter managers and colleagues from bullying staff members and all staff should be aware that complaints are treated confidentially, fairly and should a finding be made against the offending person that a punnishment made is suitable harsh that it sends out signals to others that the organisation will NOT tolerate behaviour of this nature by anyone. This entry was posted in Workplace and tagged bullying, harassment, intimidation, public service, unfair treatment, workplace bullying.